Way Of Defence, a fun tactics game. In the field at any position to deploy your weapon, to defeat the enemy, seize new territory. All in the future war battlefield debut new weapons, tanks, aircraft, chemical and biological weapons, freeze bomb etc.. War is cruel, the war has already spread to us here, what are you waiting for, the peace of the world need you to guard, combat! You can play Way Of Defence free online truck games at fogames. It has tags: Strategy,War,Defense,Purchase Equipment Upgrades,Tank,tower defense,. It has 7802 total plays and has been rated 93.6% (78 like and 11 dislike), find the fun and happy day. 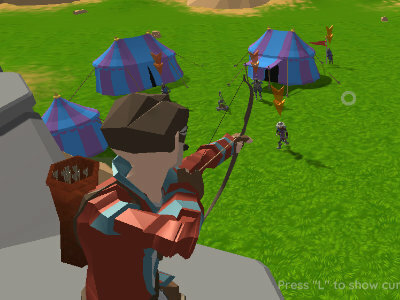 If you want to play more truck games, we find some of the game: Archer Master 3D: Castle Defence, Emma: Zombie Defense!, Stealing The Diamond and Missile Defence. To play other games, go to the strategy games page, the war games page, or just check out the new games or best games page.